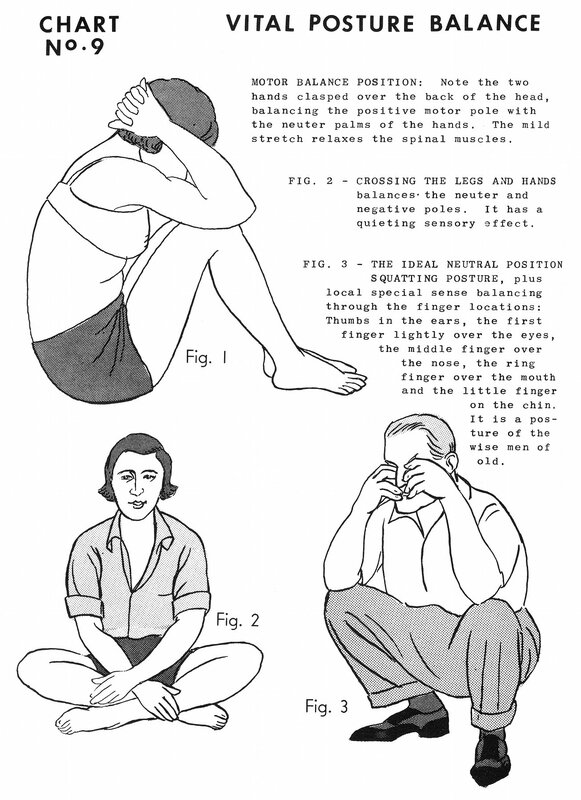 Motor Balance Position: Note the two hands clasped over the back of the head, balancing the positive motor pole with the neuter [neutral] palms of the hands. 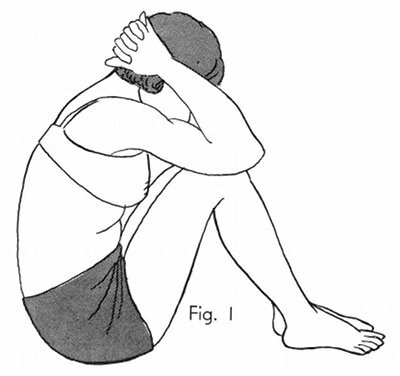 The mild stretch relaxes the spinal muscles. Fig. 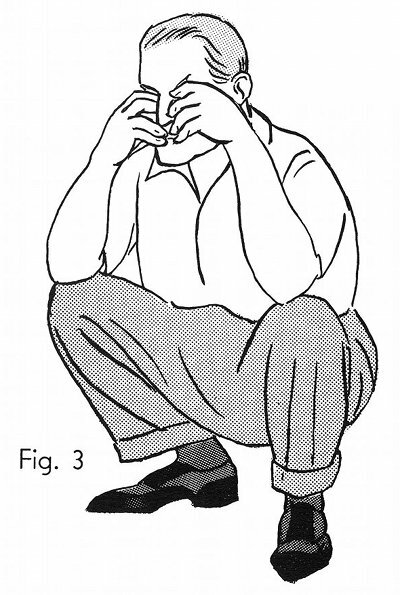 2 - Crossing the legs and hands balances the neuter [neutral] and negative poles. 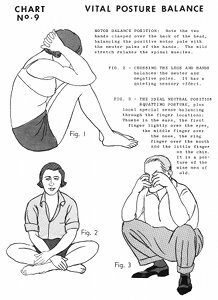 It has a quieting sensory affect. Fig. 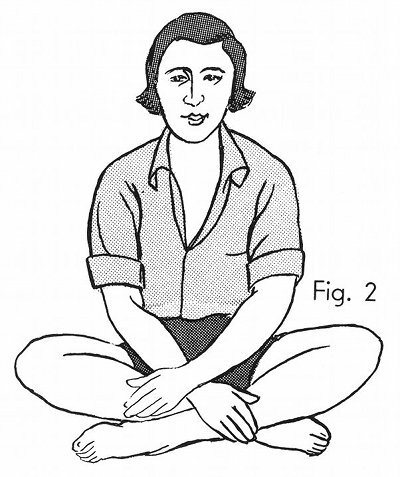 3 - The ideal neutral position Squatting Posture, plus local special sense balancing through the finger locations: Thumbs in the ears, the first finger lightly over the eyes, the middle finger over the nose, the ring finger over the mouth and the little finger on the chin. It is a posture of the wise men of old. Book 5, "Explanation of Chart No. 9"